Etienne Monneret’s AnaBuilder (IDDN.FR.010.0104139.000.R.P.2005.035.21000) is the stereoscopic mounting program I like more. As far as I know, it is the only fully functional specific tool existing for Mac (OS X). Java based, it works also on Linux, Windows... It leads me to explore the numerous aspects of stereoscopy. Especially, it permits very advanced anaglyph optimization. I help Etienne to traduce the interface and other things (tutorials...) in Spanish. Complete Web site about 3D shooting included subaquatic shooting. This Website was born again. Thank you Marcel for advising me about that. Sorry for the delay. The Web site now features a part on French flowers illustrated in 3D. Web site of the “Stéréo-Club de France”. A 100 years association of stereoscopy lovers. The precedent version of this site helps me a lot at the beginning. The information is very clear and easy to find. Huge Web site with superb 3D photos of the Alpes and also the links page. Don’t forget the big images. A wonderful trip in solar system, work of my friend Ricardo Espejo. You can learn more in that Youtube interview (in spanish). Albert NGuyen’s Web page witch I like the spirit and also the artistic use of depth in anaglyphs. The stereographers not much poet would only see window violations. For me I love the fact to carry the viewer to a part of the image isolating of the rest of the world. There are also “photos banales (ordinary photos)” portraying detail without sense of everyday life and their usual but inherent beauty. And a lot of other things! Dominique Notteghem’s Web page was for me at the beginning, thanks to Google, a very nice autostereograms (SIRDS) collection worth seeing. The lovers of french language, humor (in french) an genealogy would enjoy. StereoPhoto Maker’s Website. I had not been able to use that program for quite a long time for being only Windows compatible. Now I am using it via a virtual machine. The visualization Applet StereoPhotoViewer, who I am the translator of the menus in spanish, was used on my Website for more than 7 years. Unfortunately, Java is victim of its low security and it is not running anymore on most of platforms. Sad! Steroscope Applet is SPVA competitor. In my early tests I tried it and it was OK. This is just for layout reason that I chose SPVA. There is also StereoBee doing the same job but I only knew it after my tests. Sorry Etienne! A nice web-page with stereocopic images, explanations and technical advices. The advices to show relief images can be useful. Everything from a long-time srereoscopic photo amateur. Quite a rare page in Spanish. There are also 3D images of origami realisations. Webpage of a great photo amateur and collector especially of cameras. He shares his passion and his collection on-line: cameras, accessories, manuals, but also stamps, pin’s and a lot of other objects. It can be noticed a small rubric of stereo cameras and also the manual of the Posographe of witch I present an anaglyph here. C.S.W. (Cheapest Studio of the World). I am very glad he is now on Jamendo. One Website I like for a long time as it is offering free music (under Creative Common license) and at the same time promoting the artists. Gaël is the musical father of Bobby bear whom he kills from time to time. 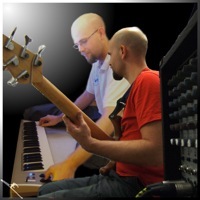 You can read their story on “the Bobby experience” blog (in english). This friend has a very high productivity, you can find him in a lot of other places of Internet. This is the name of that guide on espafrica.info. A Webpage in spanish I created from scratch with my friend Charly from Cameroon. 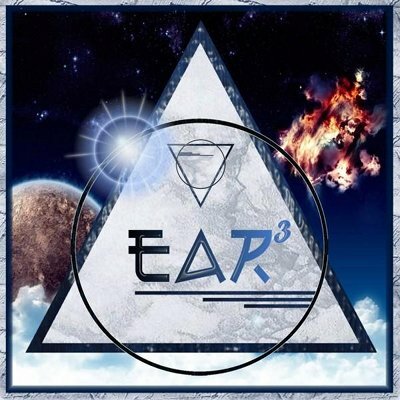 EAR3 is a virtual rock band creating free experimental music distributed on Jamendo. Its members are around Spain and work thanks to Internet. Website of an animal fan friend witch describes numerous zoological parks in the World and also their utility for endangered species. Now it is his job. A simple, complete and fast alternative to protect your creations from robbery. Or, if you feel like it, to permit its use. Militant Web-site preaching for being able to read Internet content independently form web browser and computer platform. I tried to follow those recommendations. The missing in this being the use of Java Applet witch lead me to create a Java-free page each time I used it. Thanks Olivier! Now I switched to CSS but base of the design is the same: Sharing content without limits. Gimp is the image manipulating program I use. It is free (GNU licence), available for nearly all computer platform and in permanent development.It is already used by professionals in spite of the famous P.......P! Colour management is missing but will arrive one day. Thanks X11! As part of my “professional Open Source” suite, of course there is also a vectorial design program type I.........R. It is Inkscape running on X11 on Mac. Nothing to say : It has curves, gradients, transparencies... featuring a great svg suport. Everything for bargain: Zero. I used this shareware from version 1.2 to 5.9.5 X. This is the compulsory toolbox for image processing. It can read more than 200 image file formats and record something less than 100. Only for Mac OS! The office automation suite OpenOffice.Org is free (GNU LGPL licence) and the version 2 replaces the other Office suite. The word processor and the data sheet applications had gained more ergonomic and are equivalent to their so expensive homolog. But you have included a very powerful vectorial design tool. It is now the new standart for office documents. 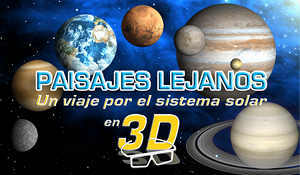 I am redactor of the bulletin of the 3D image lovers association “Estereo Imagen”. As I am perfectionist, I would not have been happy enough with the result working with my favourite office automation application (see up). A necessity was created for me to find a (free) tool, Open Source of course, to perform that task. I don’t remember where I found it but I finally discovered it. I hated it at the beginning as pagination program are not friendly. Now, I like working with it! It is called Scribus and has no reason to be ashamed beside X ---S.
The Web-browser that allowed Internet back to whatever Web browser visibility: My favorite. Piwik is the successor of phpMyVisites. It is also a free and open source application that gives you ownership of the statistics of your Web pages and blogs. The level of detail is very high and you have access to raw data if you want. This scipt is now substituted by its updated version Piwik.